Healthy sleep is an essential need in all of our lives and with it we are healthier and happier. The Family Sleep Institute busts five sleep myths to help families get better sleep in 2013. Lately we’ve all been hearing and reading a lot about how to get better sleep; and that’s a good thing. Sleep is important. Right up there with exercise and good nutrition, sleep rounds out “The Big Three” of how to stay healthy and live a long time. We’ve been told over and over that our bedrooms should be cool, dark and quiet. We know we should have a routine and to go to bed at the same time each night. We know we shouldn’t eat a big meal too close to bedtime. We know these things by now — don’t we? Here are 5 Sleep Myths we’d like to bust right now. Not necessarily so. Normally it takes 10-20 minutes to fall asleep. Falling asleep immediately is more likely a sign of sleep deprivation, a signal your body needs more sleep than you’ve been getting lately. Actually, waking 1-3 times during the night is normal. A night of healthy sleep is composed of four to five sleep cycles. Between each of these cycles we naturally come very close to waking or actually wake up completely. We may roll over or adjust the covers. Often, the time we are awake is so short we don’t notice or remember it in the morning. Other times we are more aware. Waking in the night is only considered a “problem” when you have regular difficulty getting back to sleep; again in 10-20 minutes or so. Most over the counter sleep drugs contain an antihistamine, usually diphenhydramine (Benadryl(R)). Diphenhydramine can certainly knock you out, but it’s not the same as normal sleep. From time to time, it may be better than nothing, say if you have severe allergies keeping you awake, but regular use of these products can rob you of the repairing, restorative sleep process you really need. Also, antihistamines can leave you groggy and fuzzy-headed during the day. They increase the risk of falls in the elderly. They can lead to urinary retention or stress incontinence. There are other bothersome side effects and taking them regularly can become habit forming. We frequently hear this myth spoken out loud; predictably by busy entrepreneurs or active social butterflies. The truth is the typical human body requires between 7 and 9 hours* of sleep time each night to repair the damage done, restore the chemicals depleted and rebalance the chaos created during the average day. 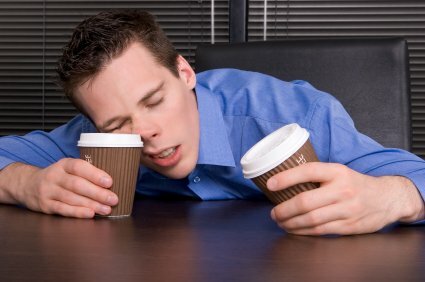 Genetic research has shown that only 3% of people truly thrive on 6 hours of sleep or less. The rest are merely “getting by…” Is that what we’re striving for? Getting by?? Or do we want to grow, thrive and excel? For that we truly need the foundation of sleep — 7-9 hours of it every night. *Children and teens need even more. So, tonight as you follow your bedtime ritual, tend to your cool, dark and quiet sleep sanctuary and slip gently into your slumber, you can rest more easily knowing you now know the difference between many sleep myths and sleep truths. Before morning comes, let’s see what else we can dream up! Thanks to Patti Tucker for busting these sleep myths. Patty Tucker, PA-C, Sleep Coach and Consultant and Adjunct Faculty of the Family Sleep Institute, is a graduate of the Stanford School of Medicine Physician Assistant Program. The Family Sleep Institute is the very first comprehensive yet affordable child sleep consultant certification program based on 15 years of experience by the leading Child Sleep Expert, Deborah Pedrick. The Family Sleep Institute lives up to its name as it is truly a “family” to all graduates who go through the program. Tossing and turning all night to find that perfect sleeping position? WSJ’s Sumathi Reddy joins Lunch Break with new findings on which positions could help you rest up more efficiently. Photo: Getty Images. Experts say there is no one right way to sleep. But for people with certain types of pain and medical conditions, there are positions that can help keep problems from getting worse and may even alleviate them. In some cases, sleeping in the same position night after night can itself create pain, such as neck or shoulder problems. The most common sleeping position is on the side—57% of us at least start the night in that position, according to a nationwide survey of more than 2,000 people performed for mattress maker Tempur-Pedic North America. That’s followed by the back—17% of people opt for this position—and the stomach, 11%. Most of the remaining respondents said their position when they first go to bed varies each night. People change their body position an average of 11 to 13 times a night, videotaped sleep studies have shown. Here are some common conditions that may be helped by specific sleep positions. Moving around during the night is common. Videotaped sleep studies have found that adults might change their position between three and 36 times a night, with the average person switching about a dozen times. The tendency to shift in one’s sleep decreases with age. 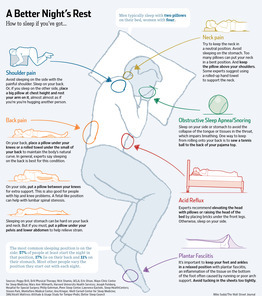 Each sleep position has benefits and disadvantages, although sleeping on the stomach generally isn’t recommended because it can constrain the neck. Lying flat on your back, for instance, may be good for the lower back but can exacerbate digestive and breathing problems—and snoring. “You want to make sure that your joints are not being excessively compressed or muscles put in abnormally shortened or stretched positions,” said Mary Ann Wilmarth, chief of physical therapy at Harvard University Health Services. Dr. Wilmarth said that always sleeping in the same position can cause problems. Consistently compressing the body on one side or stretching another side over time can create an imbalance and result in soreness or pain in that area or exacerbate an existing condition. In general, for most painful conditions, experts say choosing a mattress that isn’t too firm or soft is ideal. Something that conforms to your body without creating pressure points works best. And surrounding yourself with multiple pillows usually helps. Getting comfortable when you sleep is important because a lack of sleep can cause joint inflammation and lowers your pain threshold, experts say. Can Good Vibrations Perfect Your Posture? Sometimes the right sleep position changes. Maurine Netchin, 65 years old, used to sleep on her stomach when she was younger. In recent years, the Manhattan resident started sleeping on her left side to avoid light streaming through a window. With the help of Ms. Brill, the orthopedic physical therapist, Ms. Netchin discovered that sleeping on her left side was aggravating an old injury to the rotator cuff in her left shoulder. She now sleeps on her right side hugging a full-length body pillow between her knees. The position allows her to keep her left shoulder and arm in a neutral position, akin to sitting in a chair with arm rests. Who Sleeps Better at Night? Obstructive sleep apnea/snoring. Stay off your back, sleep specialists say. This potentially dangerous sleep disorder results in breathing interruptions caused by a blockage or narrowing of the airway, often resulting from the tongue or tissue in the throat collapsing. It’s often accompanied by snoring. Roughly 10% of sleep apnea patients can be cured by changing their sleep position, said Eric Olson, co-director of the Mayo Clinic’s Center for Sleep Medicine in Rochester, Minn. While there are many sleep products designed to keep people off their backs, Dr. Olson and other experts recommend sewing a tennis ball onto the back of your night shirt to avoid rolling on to your back. And for people who want to stay on their back, he suggests elevating the head by at least 30 degrees or using a wedge pillow. Acid Reflux. Sleeping on your side can help this condition, commonly known as heartburn. Back sleeping can pose problems because the head isn’t elevated relative to the stomach so gastric contents can bubble up to the esophagus or back of the throat. Another solution is to prop up your head with pillows or to raise the head of the bed by two to four inches by placing bricks or large books under the front legs, sleep experts say. Some studies suggest that sleeping on your left side is better than the right in terms of alleviating reflux, but experts say the evidence isn’t conclusive. Back pain. 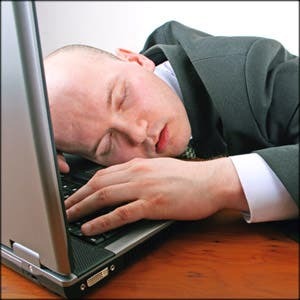 The rule of thumb for many back problems is that sleeping on the back is the most comfortable. Keep a neutral position, with your spine aligned as if standing straight. Avoid flexing forward, for instance, by sinking into a mattress that is too soft, or bending backward, said Nick Shamie, associate professor of orthopedic surgery at University of California, Los Angeles and spokesman for the American Academy of Orthopaedic Surgeons. For people suffering from lumbar spinal stenosis, in which nerves are pinched in the lower back, lying in any position can create significant pain except, perhaps, when the knees are bent. “When these people are sleeping, whether on the back or side, they like to bend their knees because that brings their legs up and opens up the back of their spine,” said Dr. Shamie. Spinal stenosis patients often place a pillow under their knees when sleeping on their back or between their legs if sleeping on their side. Adopting a fetal position while sleeping also helps ease pain for many patients, he said. Shoulder pain. Avoid sleeping on the side with the painful shoulder. Sleep on your back with a small pillow to support the bad shoulder. Or, if you sleep on the other side, hug a pillow. Also, if the neck isn’t adequately supported, you could get compression of the nerves that go from the neck to the arm, said Harvard’s Dr. Wilmarth. “That’s when you can get numbness or tingling, usually with the compression of a nerve from the sleeping position,” she said. Neck pain. Avoid sleeping on your stomach, experts advise people with this condition. Turning the neck to the side compresses the joints. “Sleep on your side or back,” Ms. Brill said. Also, use a pillow that is as thick as the space between your neck and shoulder, and position it above the shoulders so they don’t become hunched, she said. “You want a soft down pillow or something similar that you can kind of bulk and put into the hollow of your neck and support your head,” Ms. Brill said. Joseph Feinberg, director of the physiatry, or rehabilitative medicine, at the Hospital for Special Surgery in Manhattan, suggests supporting the neck. There are neck pillows specifically designed for neck pain. There’s even a Symphony Pillow as well as the standard pillow we’re all familiar with. This helped Loli Wu, 45, an investment banker in Manhattan, who said he used to wake up with horrible neck cramps. Dr. Feinberg diagnosed a herniated cervical disc, the result of years of imperfect posture.